The Zippy is a forty-two foot long, wood-hulled fishing boat with lots of character that was scuttled in the north end of Lake Washington in 170 feet of fresh water. The picturesque wheelhouse and cabin structure makes this a vessel that you'll want to spend some time exploring. 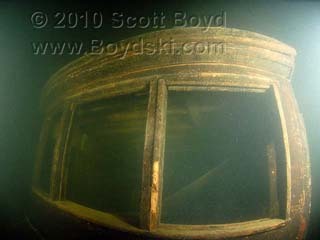 The combing around the fish hold opening has small square port holes and the cabin window opening are large enough to easily swim through. 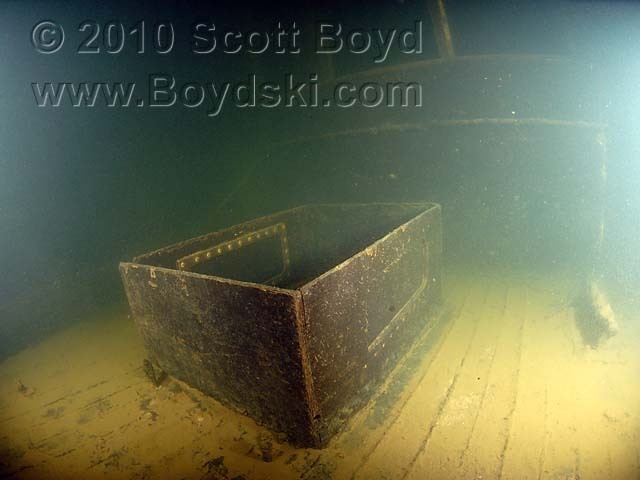 There is also a large hatch that is missing from the top of the aft cabin that makes this a very easy wreck for penetration, allowing divers to drop into and out of that cabin area with very low risk. 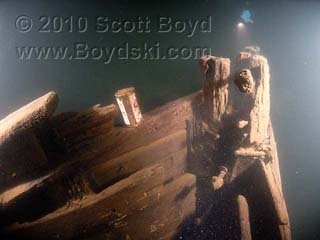 Both the bow and stern of the Zippy are "pointy", which no doubt made this a very sturdy and seaworthy vessel. This unusual design feature allows the boat to work in following seas without getting knocked down. The wreck of the Zippy was discovered by Shaun Gardner and Ben Griner in May of 2008 and named after Shaun's drysuit zipper failed on the first exploration dive. There are a few bits of the Washington State Boat Registration number on the hull, and a bit of carving on the stern that may have once been the name or home port of the vessel, but neither contains enough information to ferret out a name, so we'll stick with the Zippy.